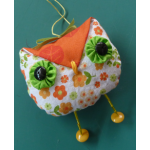 Are you an owl collector? 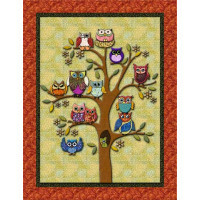 Then this little wallhanging is right up your alley! 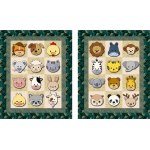 We can't quite decide which one we like best... they are all just too cute! 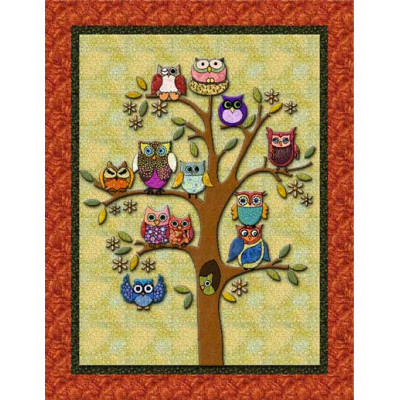 Finished quilt size: 40" x 52"
We have discovered that there are many owl lovers among you! So naturally you will want to make an o.. 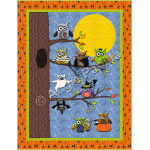 Ten little owls, hanging in a tree, all dressed up for Halloween! Hold on tight... are you spooked y.. 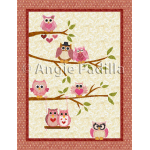 Enjoy TWO sets of blocks to make a darling little crib quilt, perfect for that precious li..
Owls are all the rage right now, regardless of the occasion or time of year. These little fellas are..
Mmmm.... What will you chose? Chicken noodle soup or Caesar salad? 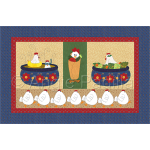 Or how about a chicken wrap? 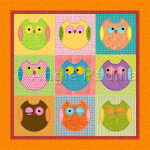 What..
Nine little owls as cute as can be in a fun little crib quilt. 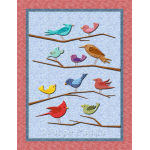 This fat quarter friendly pattern i..